Craftier Creations: How to get the new catalogs! How to get the new catalogs! 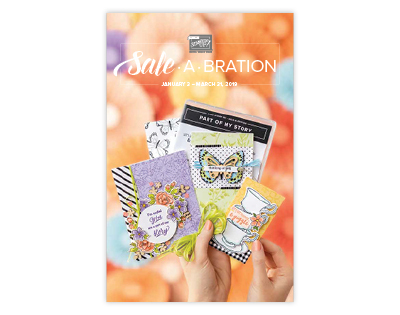 The new Occasions and Sale-a-Bration Catalogs will be arriving soon!! 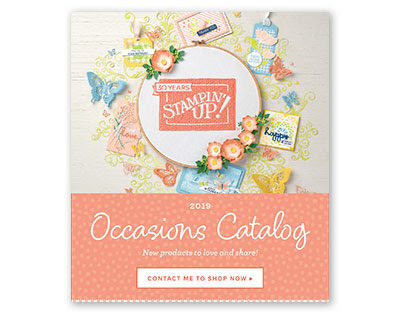 There are several ways you can get your hands on the new catalogs. 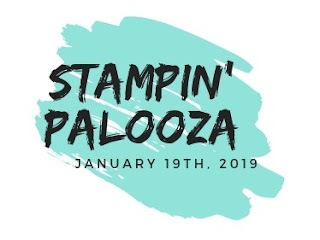 Register for the Stampin Palooza! That is the easiest way to get a catalog. If you have placed a $50.00 or more order with me (before S&T) within the last 6 months you will receive one. Contact me! I will get a catalog mailed out to. 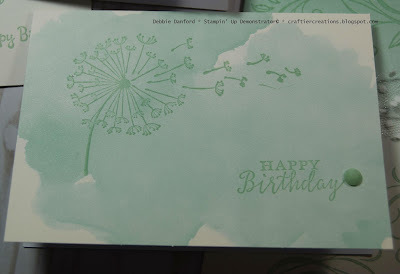 If you are new to Stampin' Up and don't have a demonstrator, please contact me I would love to help you. Now, on to today's project. I have decided to take a little break from making Christmas cards. 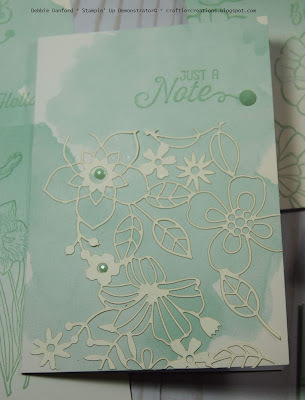 I have had this pack of Delightfully Detailed Note Cards for a while. I decided to make some very simple cards with them. This pack comes with 20 color-washed cards. 5 each of 4 designs. also includes 20 envelopes. All for the price of $9.50 #146911! 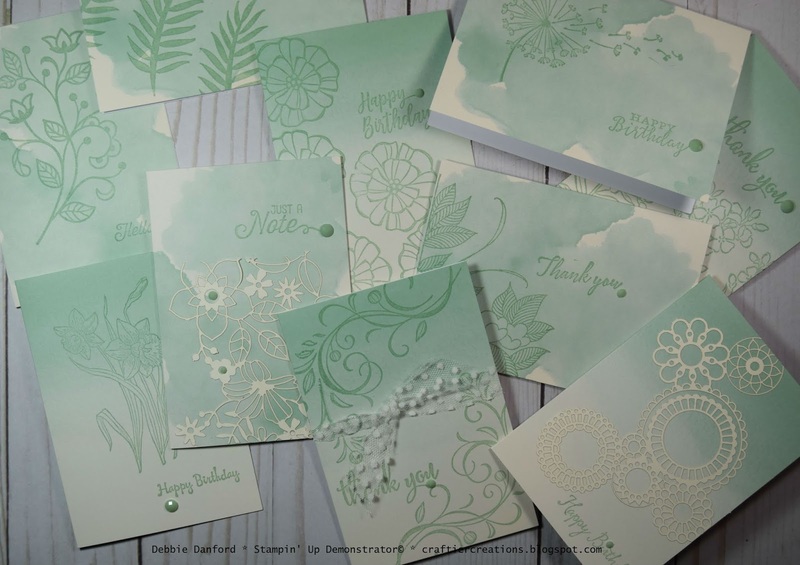 I only used the Mint Macaron cards this time. 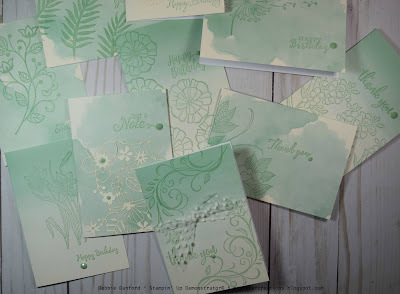 I just took some random stamp sets and stamped with Mint Macaron. A couple of the cards I used some scrap pieces of the Detailed Laser Cut Paper. As always let me know if you have any questions about the project, the products, or any of my upcoming classes or events.